would re-do my headers for $250.00. I want "that sound" a CBX is known for ! 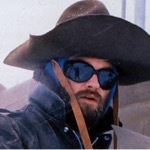 and leave the db killer in "or" remove the just remove the db killer and leave the packing ? I cant stand . . . . and from what i've read, most people dont care much for them eaither. I have the 6-2 on mine but I adapted Kerker canister mufflers to it. Its louder but wont attract the cops if I use a little restraint in town. I tried a 6-1 DG too, wanna buy it? If you have the Kerkers with the megaphones this should be a first or 2nd generation original system, both came with a choice of the street and or race baffles, the packing goes around the baffle and is usually attached with safety wire when you re-pack them. The main difference in the baffles is the length, not sure if the diameter is different, been awhile. Here is a set of 1st generation Kerkers on my 79 back in the day, I ran the street baffle with fresh packing and the bike sounded very good without being too loud. Cool pic, Jeff I recognize you on the right and the Barones (?) Who are the others? You remember? 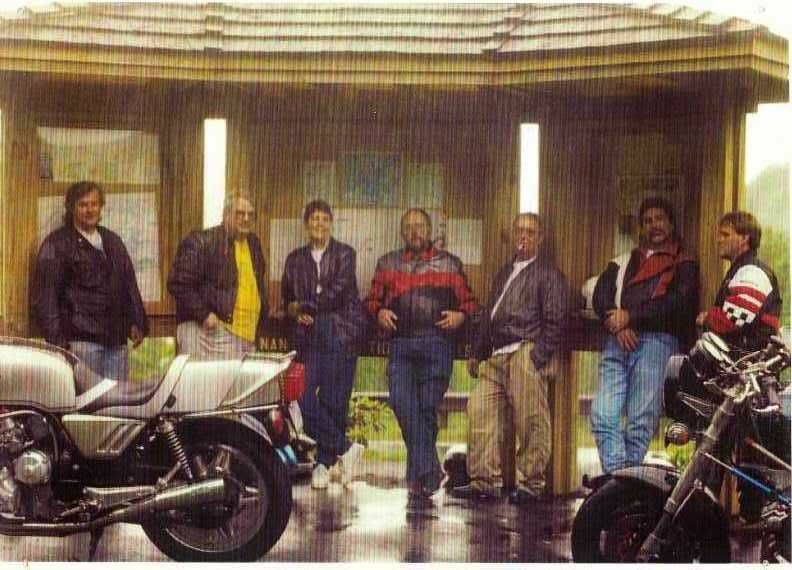 From left to right, Paul Jasovsky, Mike Brown then, Barone now, Al Blyneberg's wife (can't remeber her name at the moment), Al Blyneberg, Dave Ditner, Me and James Elliot on the end. This picture was taken at the Dragons Tail, Deals Gap, on the newly opened Cherohala Skyway at the lookout during an ICOA CBX rally . Heres another pic from that rally, how many ICOA members can you identify? Darlene is the name you're looking for in the photo. That was taken a while ago. Ya, Darlene, thats it, I think Morganton was the last time I saw the Blynebergs. 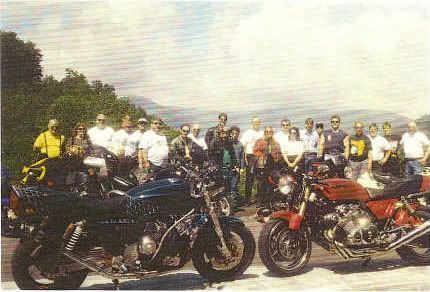 I'm thinking the pic has to be from 96 or 97, because the Cherohala Skyway had just opened up before we got there and we had the road all to ourselves the whole time we were there. I ran a kerker 6 into 2 on my 82. Me and my brother bought a 79 drag bike(1987), he was 3rd in class and as far he he could go on the X, he moved to something else. He wanted the suspension and I wanted the 1268 engine. He decompressed so I could start it. Anyway I had bare baffles and it was bearable for my girlfriend(now wife). I do recall spitting a baffle at someone in the mountains at a rally ride !! If I'm not mistaken, those were Ontario pipes on your '82, at least when we saw it at the PA rallies. You are for sure right about no baffles - man was it loud! Kerker actually made a third type of baffle, called the "Q" for Quiet. It and the street baffle were the same except for length, the competion baffle was short and larger diameter. I'd love to find a set of the "Q" baffles for an old 6-2 Kerker I bought in a junkyard. I might just have to make a set. I can name nearly everyone in the big picture. Sheesh, it's been a long time though. Maybe we need to do a re-union ride. Read this thread and it got me back to the baffles. Does anyone know one from the other? These came on my bike with 115 main jets.